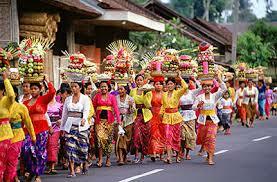 Located i jimbaran area, scenery offered by the resort is very interesting, because the resort is situated on a hill. Visitors can also enjoy a private swimming pool, a cozy restaurant and great food can be enjoyed here. Friendly staff and pleasant service there at the resort. The resort is dominated by green scenery, there is also a small beach which is pretty good for a swim or just to play volleyball. AYANA Resort and spa also has been awarded as the first rank of the best spas in the world by MCondeNaste's Traveller Magazine. 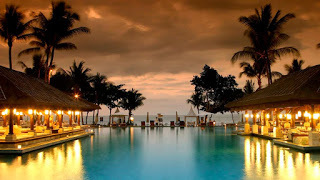 Four seasons resort is also one of the best resort in Bali. 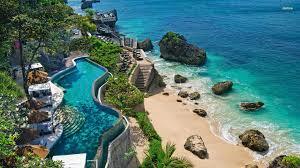 There are two four seasons resort in bali. This resort is located in sayan, bali ubud and jimbaran beach. In ubud, this resort offers views of rice fields and mountain. Four seasons resort at jimbaran has also been awarded as the best hotel spa in 2010 in asia. World class service is ready to be given to the visitors. Spa faciliies, a gym, and even libraries are available here. This resort has been awarded as the best resort Asia pacific. 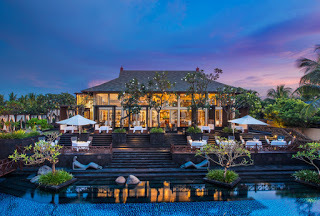 The St. regis bali resort and hotel is a resort that was new when compared to other resort, therefore, this resort has a more modern design and elegant. The services and facilities provided, give the impression of rewarding for visitors who have stayed 24 villa gives leeway for visitors to this resort. 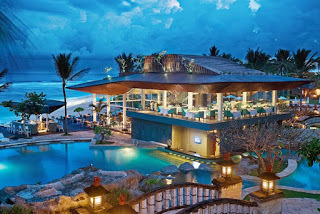 This resort is located in nusa dua. As a five star resort hotel, nikko bali resort and spa have good views of the beach. Views of the indian ocean that would be clearly visible by the visitors. Visitor can enjoy the beach like private beach because it is only open to visitors. Visitors can stroll to enjoy nature and even do water sports activities, the friendly and professional staff also owned resort. Nikko bali resort and spa also has complete facilities such a tennis courts, an outdoor camp with camel safari, beauty spa, sauna and much more. Located in the area near jimbaran beach. 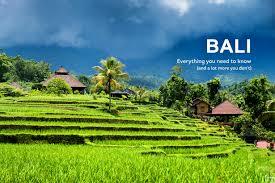 Bali beach resort offers complete facilities and satisfactory service. Visitors who arrive at the airport Ngurah Rai of Bali and have already ordered in the resort's shuttle service will be provide. have a lovely room, spacious, clean and comfortable. In room coffee maker is already available, this resort close to shore so that visitors can easily to reach the beach. around the resort there are also places that sell fresh seafood, enjoy a delicious breakfast, afternoon tea and also enjoy a cocktail in the evening. 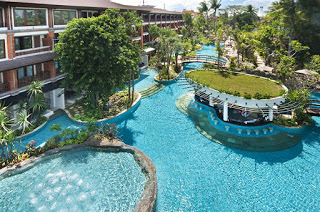 Padma resort Bali is located in legian area, legian beach resort has agreat location, close to the art market. 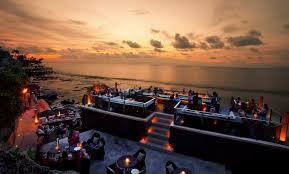 Legian beach hotel is perfect for enjoying views of the sunset on the beach. swimming pool, restaurant, fitness center, sauna and free wifi can be enjoyed by the visitors of the resort. Some rooms have a traditional style of Balinese specialities.